Ann Douglas is the author of numerous books about pregnancy and parenting, including The Mother of All Pregnancy Books, The Mother of All Baby Books, The Mother of All Toddler Books, and The Mother of All Parenting Books. The books in The Mother of All book series have sold over half a million copies in North America to date. Ann's most recent book, Parenting Through the Storm: How to Handle The Highs, The Lows, and Everything In Between (a book for parents who have a child who is struggling with a mental health, neurodevelopmental, or behavioural challenge) was published by HarperCollins Canada in January 2015. A US edition of the book is forthcoming from Guilford Press in 2016. Ann has written over 1000 pregnancy and parenting articles for such publications as Canadian Family, Canadian Living, Chatelaine, Today’s Parent, Parents Canada, Cottage Life, The Globe and Mail, The Toronto Star, and The Chicago Tribune. In 2014, she teamed up with Today's Parent to produce a series of parenting advice videos. And, more recently, she has started blogging for the Parent Tested Parent Approved website. A passionate and inspiring speaker, Ann delivers keynote addresses and leads small-group workshops at health and parenting conferences across the country. She has created and delivered parenting courses for high-profile websites such as WebMD and AOL as well as on behalf of government clients and Fortune-500 companies. She also hosts online conversations about parenting and mental health and develops and hosts webinars on behalf of organizations such as Morneau Shepell Children's Support Solutions, the International Bipolar Foundation, and Partners for Mental Health. Ann is frequently interviewed by the print and broadcast media. She is the parenting columnist for The New CHEX Daily (the CBC affiliate station in Peterborough, Ontario) and is a frequent contributor to CBC Radio. She has been quoted in such publications as The New York Times, The Chicago Tribune, Good Housekeeping, Reader’s Digest (Canada), Parents, Parenting, Working Mother, BabyTalk, Today’s Parent, The National Post, and The Globe and Mail and has appeared as a guest on such television shows as Canada AM, Breakfast Television, The Marilyn Denis Show, and The Mom Show. 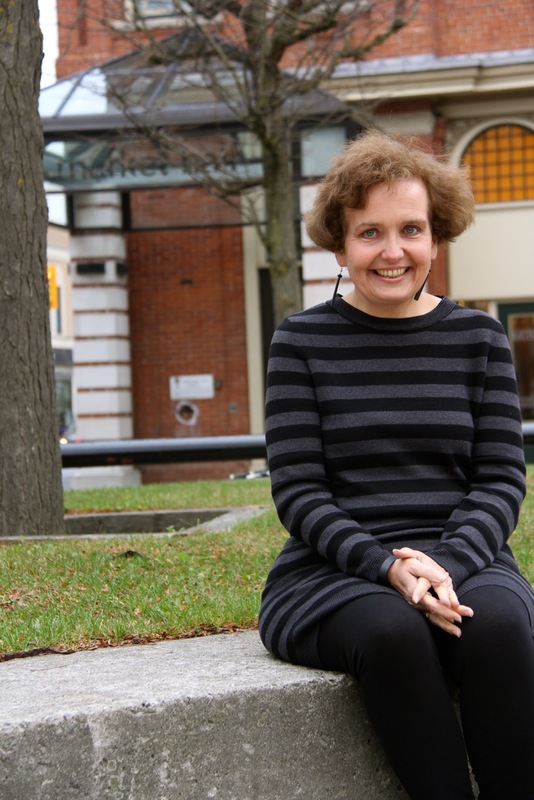 In June 2013, Ann became the second person ever to be awarded a Lifetime Membership by the Professional Writers Association of Canada, in recognition of her contributions to the freelance writing profession. In April 2012, Ann was one of 16 Canadians invited to Rideau Hall to discuss family policy with Canadian Governor-General David Johnston and his wife Sharon Johnston. Ann is currently serving on the Board of Directors of Compass Early Learning and Care, the editorial board for the Centre for Mental Health and Addiction Health's Portico website, and the social media team for The Canadian Red Cross. She recently collaborated with Partners for Mental Health on this child and youth mental health advocacy letter and on these child and youth mental health videos. Ann lives in Peterborough, Ontario, with her husband, Neil, and the youngest of their four children. They are avid cottagers.